They’ve fought to stop the inauguration. They’re fighting to destroy or nation. If you are concerned about foreign entities promoting their ideals during our elections, you should be outraged by the roots, ideologies, and funding sources of the progressive radicals attempting to overthrow our entire government! While 700,000 protesters converged on Washington D.C. for Inauguration Day—in addition to anti-Trump rallies planned in dozens of cities across the country—the political groups behind the protests remained shrouded in mystery. 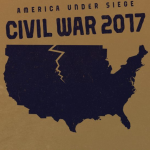 The Fox News Channel reported, “Civil War 2017” uncovers an extensive network of neo-Marxist operatives coordinating highly disruptive and potentially violent protests from coast to coast.